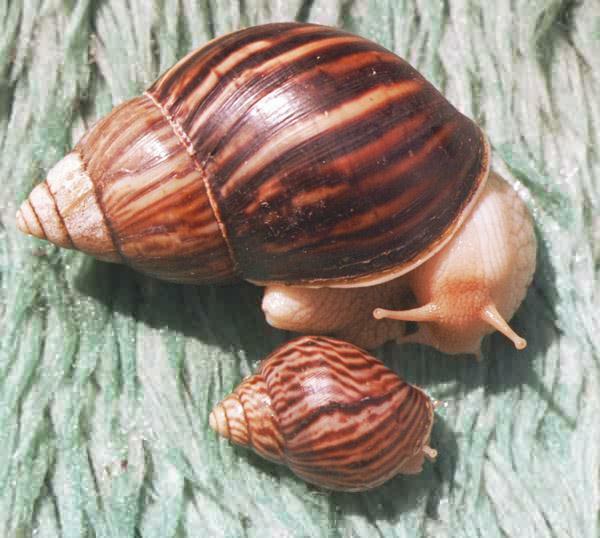 Achatina immaculata snails. 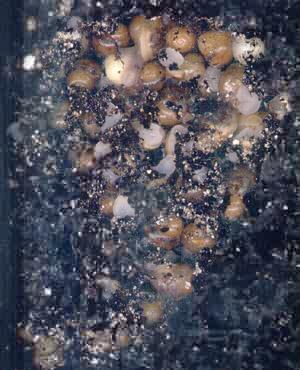 There are a young and an adult snails. Their shells can reach 5-10 cm long. Their body is light, a shell is light and dark twisting striped. The mouth of shell is purple. 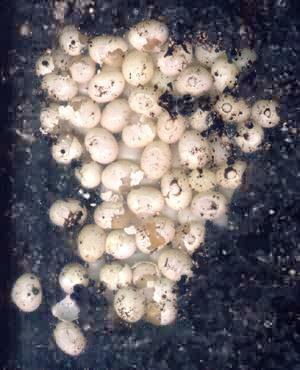 These snails lay eggs bigger then eggs of Achatina fulica and Achatina glutinosa. 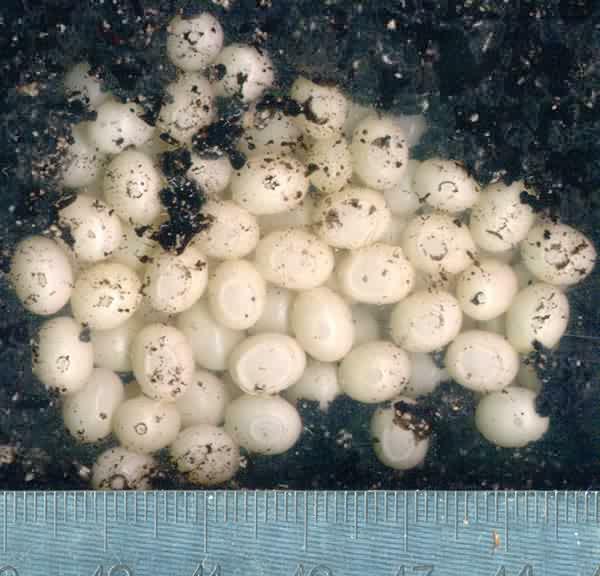 A development of egg laying. These eggs in 4 days and after 6 days. 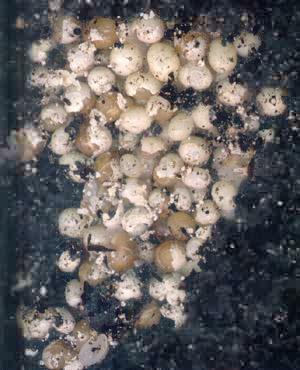 The same eggs after 7 and 9 days. 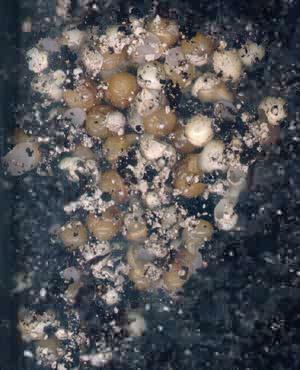 Young snails begin coming to the surface. July 5-14th, 2002. Air temperature is above 30 degrees Celsius.